If all you know about this movie is the name and the fact that it’s set in New York in 1981– one of the most violent years in the city’s history– you might expect a Scorsese-style epic along the lines of Goodfellas. If you do, you’ll come away sorely disappointed, particularly by protagonist Abel Morales (Oscar Isaac), a law-abiding entrepreneur struggling to stay clean in an increasingly corrupt business environment. The film was written and directed by J.C. Chandor, the auteur behind 2011’s critically acclaimed Margin Call and 2013’s All Is Lost. Chandor comes from the Sidney Lumet school of dramatic craftsmanship, creating a richly detailed atmosphere and filling it with characters who are given ample space and time to reveal their myriad complexities. 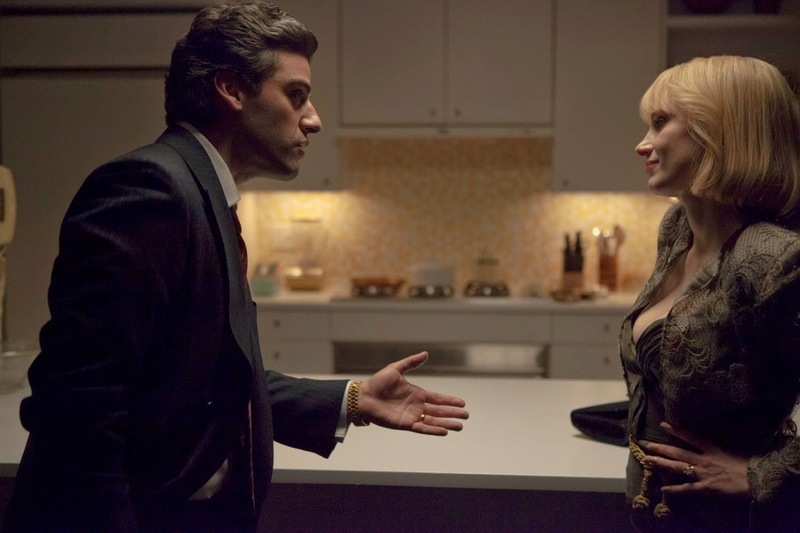 In short, he’s an “actor’s director,” and with A Most Violent Year he’s assembled a stellar cast that includes Isaac, Jessica Chastain (as Isaac’s wife Anna, the daughter of a notorious mobster), Albert Brooks (as their attorney), Alessandro Nivola (as a hard-nosed business competitor) and David Oyelowo (as a detective). The story follows the Morales’ attempts to finance the expansion of their growing heating oil business just as competition in New York City is heating up and the police are investigating their business for tax fraud. A huge make-or-break deal is on the table, but the Morales’ trucks keep getting highjacked, their drivers and salesmen keep getting attacked, and both Anna and the local union rep are getting fed up with Abel’s stubborn refusal to let his employees arm themselves, much less fight back. The underlying tension simmers rather than burns, with Chandor slowly but surely ratcheting things up. But, despite the occasional chase scene here or fight scene there, it never really threatens to boil over into thriller territory. Chastain is particularly impressive, letting her character’s rough ’n’ tumble past bubble to the surface as her frustrations with Abel build. But some viewers may be equally frustrated with the film’s languid pacing, and with a lead character who seems unwilling or unable to protect his family or his employees.